The Celtic Cross is a powerful historical symbol. 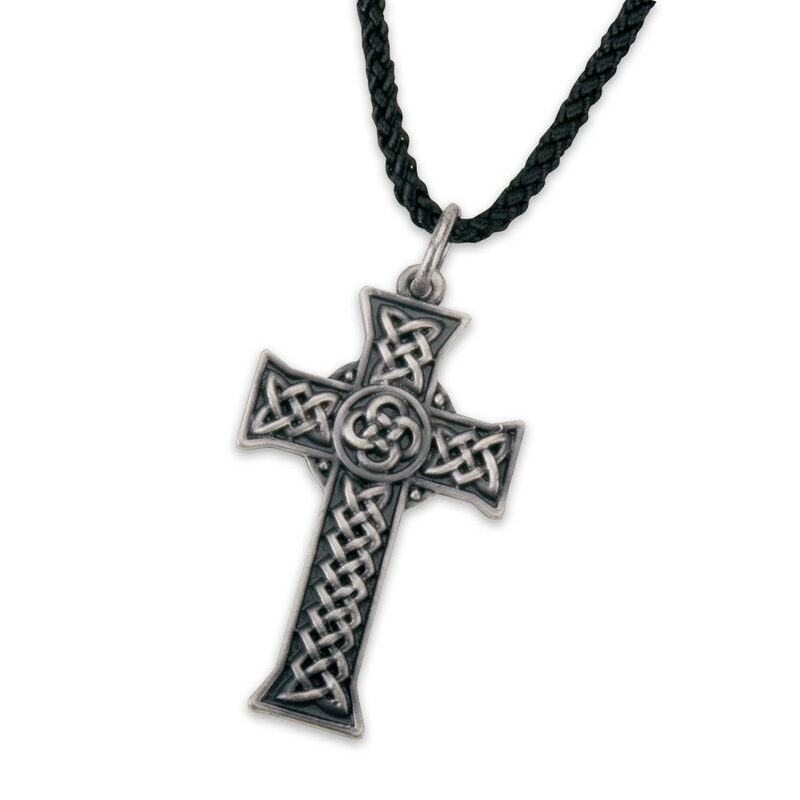 Constructed from the finest quality pewter, features detailed engravings, and black synthetic cording. Length 1". The necklace is great, though I wish it were bigger it is beautifuly engraved and the size it says it is. The cord is not as shown in the picture, it is of a rubber material and very stringy/strecthy. If you purchase this be sure to purchase another type of chain for it to hang from. Other than that, it came in good time and is as descripted. Good item. The photo for this product shows it to have a braided leather cord. In fact it is a rubber one. The leather was a part of why I ordered it. looks good but the cord is not nylon but more like some type of rubber. Cord is plastic but durable. The actual pendant bends if you apply a little pressure but will withstand normal wear. Very well crafted, I love the design and it is not very heavy, I feel the person I bought this for will love it as well, no defects 10/10! Great for anyone who likes Celtic or even mythic stories or culture and a grand gift for anyone, young, old, girl, boy. Even religious folks can appriciate this. I really like the detail in the celtic mandala weave. I am however slightly annoyed that the description said a black nylon cord but I recieved a rubber-silicon type cord. It's not a big problem to me at all, but I would like to point it out.